How do we know what it takes to create the ultimate city bike? Because we’ve been doing it over a hundred years. Since 1904, to be precise. Our first one, made by the three Van den Berg brothers, was a work of art. But there was one tiny problem: back then, most people didn’t know how to ride a bike. So these three clever fellows came up with a plan: teach them! And they did. That turned out to be a brilliant move. We survived heavy years of crises and wars. In 1966, we built our millionth bike. 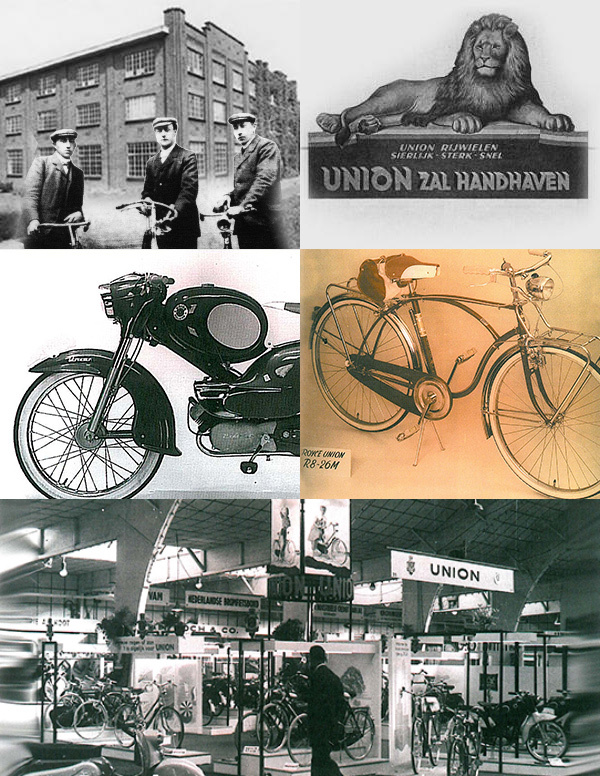 And despite a devastating fire in 1976, Union always kept being the city bike brand in Holland. Go and have a look at a Dutch train station. It’s all Union. Well, almost. We only use quality-parts, from brands like Shimano and Brooks. The good stuff. If you do happen to have a problem or question, you’re more than welcome to visit one of our official dealers for a check-up, repair or some interesting life lessons. There are more than a hundred dealers in The Netherlands, so there’s always one nearby!